So as you might know, Raging Swan Press is based in the UK and Brexit just happened (or more accurately has started to happen). It’s been a tumultuous few days and I fear we have many more to go. I have no idea how it will turn out eventually. As you can imagine there is a fair amount of panic, confusion and mudslinging. I voted to Remain and I’m very saddened that as a nation we’ve voted to leave Europe. That said, a vote’s a vote and now I think we’ve got to get on with it. 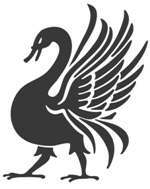 At the moment, I don’t foresee any major challenges or problems for Raging Swan Press. Nothing has really changed as of yet. Virtually all the places we sell our products are based in the US and most of our trade is in dollars. (Certainly virtually all the stores we operate in work in dollars and we pay all our freelancers in dollars unless they ask otherwise). While we have a few European freelancers (notably the remarkably talented Tommi Salama in Finland and Maciej Zagorski in Poland) I see no reason why our relationships with them and our other European partners shouldn’t continue as normal. However, as these changes will take some time to sort through and because our schedule is full through to the end of the year I’m suspending our general open call for 20 Things articles. If I have your article, I’ll still look at it and it’s still eligible for publications but I think it would be unfair of me to continue accepting submissions when I have no idea what next year is going to look like yet. If you’ve any questions about Brexit and Raging Swan Press, I’ll do my best to answer them; just leave them in the comments section below. Hopefully the Canadian Dollar can gain some ground on the £, as it has recently; because of misinformation about our actually very clean resource extraction by the Saudi consortium and their American yellow journalists and political puppets, oil from Canada is still sold to only a few American refineries and for a deep discount. Hopefully the new trade agreements with GB with provide a less ridiculous barrier for trade goods than the old EU one, which was stalled for years because our way of life includes harvesting cute animals. Paul McCartney’s antics aside, he has destroyed most of the rural fur harvester’s livelihood, and now the Department of Fisheries and Oceans has only to hire folks to cull the rabbit-like seal population every year, for they wreak havoc on ocean fish stocks. However, now, the cute seal carcasses can’t even have the use of being turned into fine fur products, they are simply shot and dumped; thanks Paul, maybe stick to shite music for boomers next time. Anyway, that aside, GB and Canada’s great history of trade may now begin again, and we here are very hopeful that a free Britain will make a great mutual trading partner. Certainly, we hope that products from GB will be more available to importers and perhaps a better value on exchange will allow more Canadians to visit and buy from England & friends. Here’s to better times and a freer market! Incidentally, the eight months that winters of Canada have created a massive couple of generations of gamers; although I can buy several boxes of ammo cheaper than a printed core rules book still…maybe products from GB will be a bit more affordable than ordering Yankee copies. Here’s hoping. Things can’t get worse for us, maybe they’ll get better. Years ago, before the EU and NAFTA ruined any forestry products outside of pulpwood sent to China to become paper, our great managed wood lot owners (such as yours truly) had great customers in GB. With trump promising an end to the NAFTA imbalance with Canada, free trade, uninhibited by lobbying super interests, can flourish. Besides, Creighton, the Krauts were bring GB down, why not leave and become “Great” Britain again, instead of German puppet Britain. Here’s hoping. Anyway, I am excited for the future. It’s always heartening to have monopolies crushed and the David’s of the world race win a fight. Hopefully Canada and GB can trade again, and hopefully RPGs can be a prosperous GB export. All the best to you and your entrepreneurial enterprises.